Hello everybody, today we want to introduce you a great idea about home decor. It is the easiest, very simple and fashionable home decor of all. You only have to made this squares, which are very easy to crochet, than everything is very easy. Look around the shops, decors like this costs very expensive and crocheting this will cost you a 1/10 than to buy it. 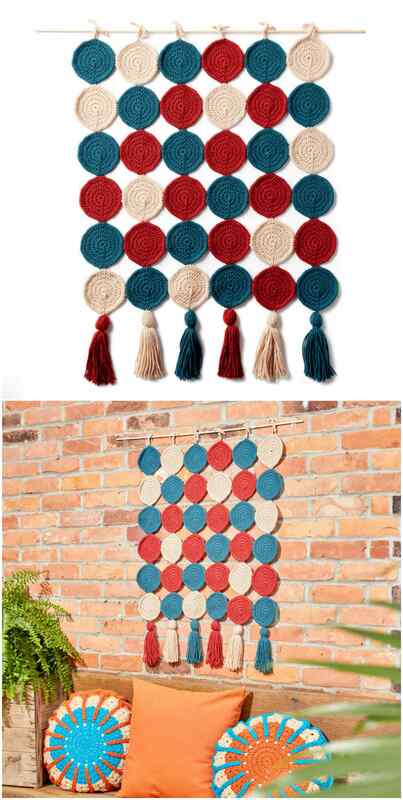 In this pattern it is step by step explained how to crochet this amazing wall decor and surprise everybody around you because of its handmade. Thanks to the author for this easy and amazing idea, you can also look around this blog and find many interesting ideas about crochet, wall decors, knitting and etc. Wish you all the best.